Race Face Brand Development Drivers represent some of the sports most talented young drivers. They understand the importance of developing a professional brand strategy that will assist them in reaching their goals in Motorsports. Our relationship is based on the understanding that a good brand is key to growing your fan base and getting quality marketing partners. Our goal is to be a Champion both on and off the track. In 2018, Anthony competed fulltime in the NASCAR K&N Pro Series East, a proven training ground for NASCAR Cup Series drivers. He visited victory lane at South Boston Speedway and ended the season with 9 top 10s and 5th overall in points. Anthony gained valuable experience this year and is looking forward to taking that experience to the NASCAR Gander Outdoors Truck Series in 2019 with DGR-Crosley. Adam Lemke, 16, of Hollister, California was selected to the Chevrolet Drivers Edge Development program for 2019. In 2019 he will pilot the #98 Chevrolet Late Model for Jr Motorsports in the CARS Tour on the east coast and return with Nakke-Klauer Motorsports for the RPM Pro Late Model Series plus selected races in the PCS Late Model Tour. 2017 & 2018 JR LATE MODEL CHAMPION / 2018 BCRA MIDGET CHAMPION Jesse is a Toyota Racing Development driver, and he will run 28 POWERi Midget races for Keith Kunz Motorsports, along with competing in the SRL Southwest Tour in a super late model prepared by Naake-Klauer Motorsports. The rapidly rising phenom will also see some starts in a 360-410 winged sprint car out west with Harley Van Dyke Motorsports. Sheldon Creed was the 2018 ARCA Racing Series Champion and was selected to the first Chevrolet Drivers Edge Development program for 2019. He will compete fulltime in the Gander Outdoor Truck Series in 2019 with GMS Racing in his #2 United Rentals Chevrolet. In 2018 Sam drove for Jr Motorsports in the CARS Tour finishing 5th in points and was the top finishing rookie driver. In 2019 he will drive for GMS Racing in the NASCAR K&N Pro Series as well as the ARCA Racing Series and selected NASCAR Gander Outdoors Truck races later in the year. Anthony gained valuable experience this year and is looking forward to taking that experience to the NASCAR Gander Outdoors Truck Series in 2019 with DGR-Crosley. Timmy Tyrrell, better known as "Mini Tyrrell" is not your typical young race car driver, his talents both on and off the track are way beyond his age of 14. Mini will pilot the #81 Late Model in the 2019 CARS Tour where he was selected as one of the CARS Tour Touring 12. Mini will also compete in selected races in the NASCAR Whelen All-American Late Model Series races in 2019. Mini's career highlights include the 2016-2017 Late Model Stock Car Track Championship at Shenandoah Speedway, he has also accumulated 16 Late Model wins and over 48 Kart wins.  At Race Face Brand Development, we are much more than just your typical marketing agency because we focus on the past, present and the future. Our number one priority is to assist in developing a career path to accomplish your long-term goals. A driver’s brand is perhaps the most valuable asset in furthering a career in Motorsports. So, developing a stronger brand is your most important task! As a professional your brand is a reflection on your reputation in the marketplace and often viewed as your resume. the popularity of motorsports to market their goods or services.